Messages on Twitter indicated that the person thought another friend had delivered the special treat. I felt slighted, but whatever, that’s what I got for not putting my name on the box. Then I discovered that the friend’s mother was on the brink of throwing the entire box out in fear that someone was out to poison her kid. I found that quite funny. Close to midnight I get a text message asking if it was me. “If what was me?” I responded. I know, I’m horrible aren’t I? So I play out this mind game for another 45 minutes before I give in. 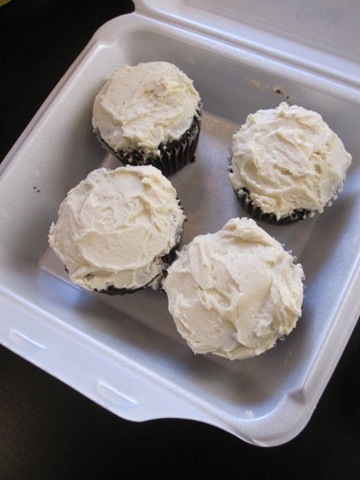 This time my friend was seriously threatening to throw out my double chocolate cupcakes, and I just wasn’t having it anymore. To my relief at least 2 cupcakes were consumed that evening. It was one of the most interesting social experiments that I’ve conducted, and I got such a good laugh out of it that I did it again, and again, and again. Each box had a funny story attached to it, with the friend not knowing what to do with it, or accessories to the stories including parents who refused to open the door when I knocked. 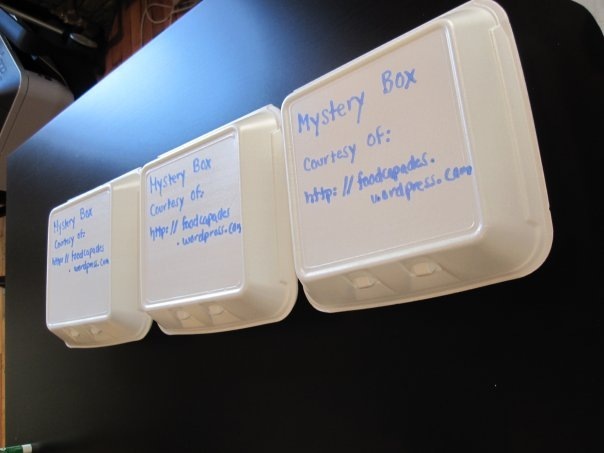 The Mystery Box phenomenon is one that I am going to continue, just for the simple joy of seeing people get excited over a surprise delivery. As a kid I’ve always dreamt of singing telegrams at my door, bouquets of flowers that show up for no reason, and balloons that are so abundant that they have a hard time getting through the door. Who wouldn’t like to be able to make their friend’s eyes light up over a special treat made specifically for them? Do you know someone deserving of a Mystery Box? This is a really cute idea!! Sorry I thought it was someone else :). You rock! Dude! Where’s mine!? haha kidding :P.